Second to stablemate Bristol De Mai on his seasonal reappearance in the Charlie Hall Chase at Wetherby, Blaklion was sent off a heavily-supported 7-4 favourite and he never looked in any danger. Last year's Grand National fourth did not put a foot wrong under Gavin Sheehan and he was cut across the board for the April showpiece by the bookmakers after he bolted up by nine lengths for trainer Nigel Twiston-Davies. Aintree regulars The Last Samuri and Highland Lodge once again showed their affection for the fences but were ultimately well beaten in second and third respectively. 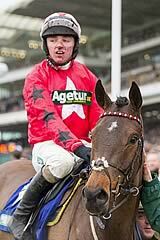 Twiston-Davies told ITV Racing: "It was a superb round of jumping, but it's a relief to see him win. We had a brilliant jumper fall in an earlier race so it's lovely when they go round like that. "It was exactly what we'd hoped for. He didn't seem to quite get home in the National last year, but we dropped back a mile and our prayers have been answered. "Others will come out of the woodwork for the National I'm sure, but he must have a very good chance if we ride him a bit more restrained, like we did today - we've only got eight lengths to find. "I'll think about how we get there, he might wait for the Grand National Trial at Haydock and then the National. 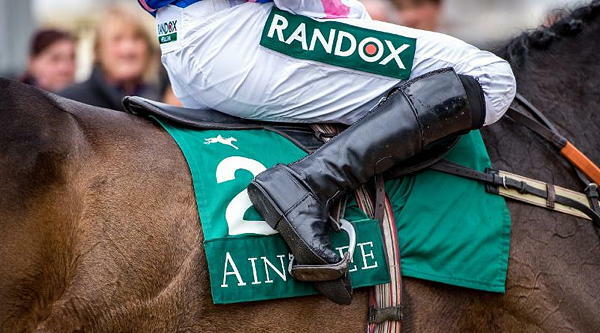 We'll think about the Gold Cup, but hopefully we've got that sorted (with Bristol De Mai)."